This 1994 Oldsmobile Bravada is a prime example of the problems General Motors was having late in the 20th century. They were simply selling too many versions of the same vehicles. 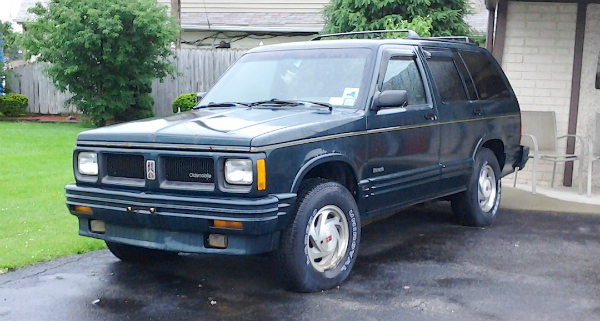 This Bravada was not much more than a Chevy Blazer/GMC Jimmy with different (that is — cheap-looking plastic) trim. I imagine GM was merely stealing sales from itself for decades. This one has been parked in the same Niagara Falls motel parking spot for years. Jim Corbran, RRofWNY …and check out our Facebook page: Un-American Classic Cars The post RealRides Of WNY appeared first on Buffalo Cars.